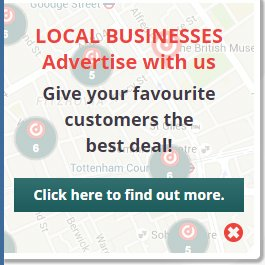 If you are a local business and have ever used Groupon or similar are you tired of paying vast amounts to them, then maybe you need to try the new local deals service from DiscountVouchers.co.uk. It’s currently in trial but the team are super keen to help small and local businesses. Get included on Discoutvouchers.co.uk and within their newsletter. I was lucky enough to be in India recently with a couple of the DiscountVouchers.co.uk team and they thought there had to be a better way, so they built it. Simples, try it out, tell your local businesses.